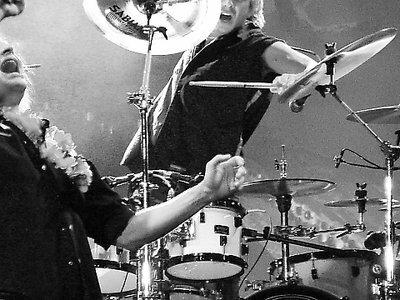 About Singer David Lee Roth and his drummer prepare to hit the last note of the night in concert. Kind of a quirky crop, and I wish it were just a little bit sharper. But what energy you've captured!! Excellent - Bob T.